Article 8 of the LDS Articles of Faith states, “We believe the Bible to be the word of God as far as it is translated correctly.” So the LDS church accepts the Bible, with an open-ended exception. But Article 8 immediately goes on to accept the Book of Mormon, without exception. So what exactly is the LDS church’s problem with our translation of the Bible? In my last post, we examined the question of whether books were left out of the Bible that were meant to be included. But is the Bible reliable? At points where the LDS church and Nicene Christianity disagree on Biblical teachings, the Latter-Day Saints can claim that “plain and precious” Biblical teachings were either left out or changed. So the issues are: 1. the reliability of the Biblical text, and 2. how to translate the text we have. Neither of these issues is thorny enough to substantiate the LDS claims that our debates about doctrine are due to either textual alteration or mistranslation. Let’s look at the evidence. In practice, the Latter-Day Saints have resolved the issue for themselves in two contrasting ways: 1. Joseph Smith made his own translation of the Bible, which has been published by the Reorganized LDS church. Joseph used the King James translation for his version, but made a few alterations. (See http://www.mormonthink.com/jst.htm.) 2. The main branch of the LDS church, however, rather than using Joseph’s translation, simply defers to the King James Bible, and appeals to their additional scriptures on issues where the Bible disagrees with them, where they can cite their 8th Article of Faith. So how reliable is our text of the Bible? Centuries of uncontrolled copying before the Old and New Testament texts were semi-“standardized” may be seen as both a curse and a blessing. The curse is obvious: hundreds of pesky variations. But the vast majority of these are comparatively minor, and do not endanger the basic content of the text. In fact, no textual issue in the Bible puts any important teaching of the Bible at risk. For example, there are cases where copyists tried to alter our belief that Jesus is God, but those attempted alterations failed to remove that plain and precious teaching. There are too many reliable copies and early quotations out there to hide the evidence as to what the Biblical text actually says. That's where the not-so-obvious blessing of having so many independent early copies of the Biblical texts kicks in. Nobody was ever in a position of being able to change all of them, without the original reading being preserved somewhere. An early heretic named Marcion tried to pull off this stunt around 140 AD. He tried to cut everything Jewish out of his New Testament. But he did not succeed in his attempt. We have all the evidence we need that his Bible version was not the original. Marcion’s failure to sell his chop-job on the Bible is why I would argue it is highly unlikely that anyone took out or changed any Bible verses that taught any LDS doctrines that are not found in our present Biblical text. The evidence for such a claim is nowhere to be found. Neither can we find any evidence that the Bible has been mistranslated at points that are in dispute between Nicene Christians and the LDS church. But translation can make a difference. For example, in Hebrews 7:24, the King James Bible says that the Melchizedek priesthood that Jesus has received is an “unchangeable” priesthood. The Greek term used here, a-parabaton, means literally “un-transferable.” The LDS church has a Melchizedek priesthood that has been passed to millions of priests. But the Bible actually says that Jesus’ priesthood is un-transferable. He is the one and only Melchizedek priest! So neither text nor translation should be any excuse for faithful Latter-Day Saints not to believe the Bible without exception. The same cannot be said when we apply the same questions to the Book of Mormon. Critics have counted 3900 changes between the 1830 version and the version we have today. Again, as in the case of the Bible, the vast majority of these are comparatively minor, such as grammar and spelling. But on what basis are these changes being made: textual, translation, or merely stylistic? We Biblical scholars are content to believe that God has the right to break such human-made rules in cases that do not jeopardize the reader’s understanding. If one believes in the golden plates, then we no longer have access to the original language against which to compare or correct the Book of Mormon’s translation. However, if one believes the book to be entirely Joseph’s composition, then we have no translation issues in the Book of Mormon, only textual ones. But one change stands out and is worth pondering. The 1830 version of 2 Nephi 30:6 predicts that the Lamanites (today’s Native Americans) would someday become a “white and delightsome people.” The handwritten original of this passage confirms these words. But in the church’s 1981 edition of the Book of Mormon, this reading was changed to a “pure and delightsome people.” Joseph himself tried to make this change in 1840, but later editions chose to follow the original reading. We have the tools necessary to figure out an accurate text and translation for the Bible, accurate enough to meet our needs to know what God wants us to know. 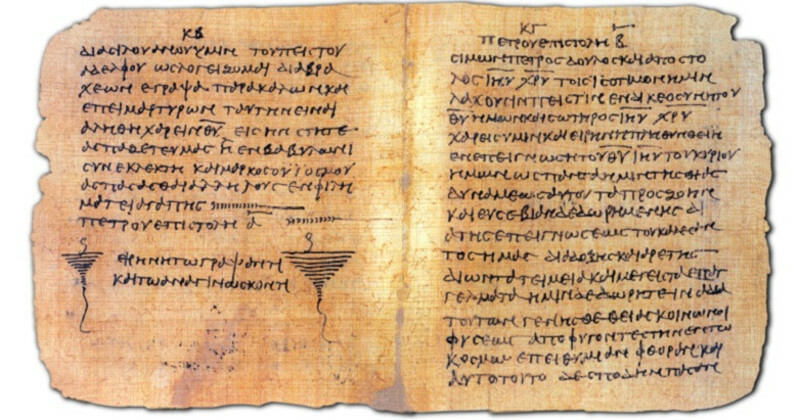 For the text of the Hebrew Bible, we have copies of the standard Massoretic text from as early as the 900’s AD, a text whose accuracy we can confirm and/or correct by comparison with the Greek translation (200’s BCE), the Dead Sea Scrolls (100’s BCE – 1st century AD), plus ancient evidence from the Aramaic, Latin, and the Samaritan Pentateuch. For the New Testament, we have Greek portions from as early as 200 AD, complete New Testaments from the 300’s AD, plus hundreds of later Greek manuscripts, early translations into Latin, Syriac, and Coptic, plus hundreds of quotes from early Christian writers. How do we sort through all of this evidence? Scholars have figured out how to weigh which sources are more reliable than others; the earlier and more diverse the sources, the better. We can also look for logical reasons why one reading may be the original and why the change took place. Sometimes we can tell that a letter or word dropped out or was garbled or was confused with another letter or word. Sometimes the shortest reading is best. In cases such as the ending of Mark, the last line of the Lord’s Prayer, or the story of the woman caught in adultery in John 8, we must ask: If the longer version was original, why would someone shorten it? And if the shorter version is original, why would someone add to it? Using textual analysis tools like these, we are left with little or no doubt about what God wants us to know. All of this leaves little doubt about what God has said. The real issue is not what God has said, but whether we believe it.